You wouldn’t exactly call them the first real gaming industry family in the Nordic region, but the Sircs are one of the most recognizable father, son figures in the hustle and bustle world of games industry business. 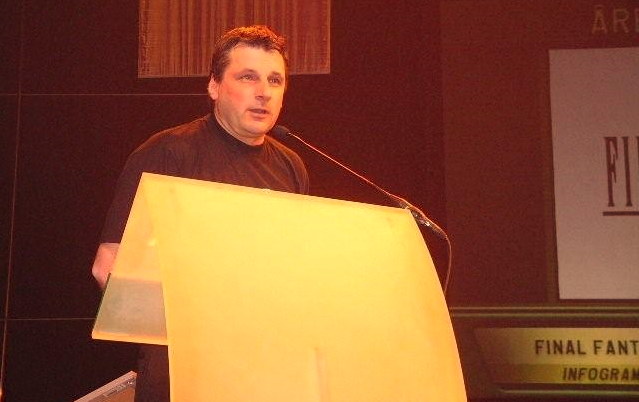 Martin Sirc (father) began in the games industry in 1986 when he joined Maxell to sell Floppy Discs, used with Amiga, Atari and office computers as well as Synthesizers (audio sampling). After several years as Sales Manager at Commodore he moved on to Funsoft as Marketing Manager. Here they successfully launched titles like Warcraft II, Diablo 1 and Barbie Fashion Designer. Since then he has overseen the setup of offices for Namco Bandai and Koch Media. Today he runs a business with an old industry friend helping publishers with PR, marketing and sales with the loikes of Bethesda, SEGA and Numskull as clients. 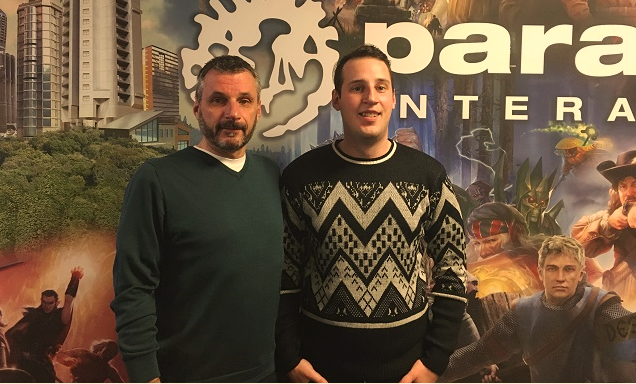 Filip Sirc (son) is currently cutting his teeth as the longest serving member of Paradox Interactives award winning sales and business development department. His daily tasks sees him manage accounts including the likes of Steam and Humble Bundle as well as been part of the brand team to launch two of the largest titles of the last few years in Pillars of Eternity and Cities: Skylines. I put a series of questions to the father and son team about their lives living and working in an industry they love. What do you love about your career and the industry? All the talented people I have met and got to know over the years, this is my biggest driver. The constant innovation of technology and the fact that those of us who work in the industry are privileged with working with things that others consume as entertainment. And… that there are so many great young people working in the industry, because this keeps old guys like me on our toes and up to date with things we normally would be clueless about. Was it always a desire of yours to have one of your children work in the industry? No not at all, my desire has been that my children have jobs that keep them motivated, engaged and happy. But of course it’s much easier to support them if they work with things that I know myself. Both of my grown up kids work with sales, so I guess that the apples have not landed too far away from the tree. My father was a news cameraman for Aktuellt evening news at SVT though, so I guess I didn’t land as close as my kids. How did you react to Filips interest and what words of wisdom did you share with him before his first day at Paradox Interactive? I was genuinely happy as I know the Paradox management and the great approach they have to the business and employees. I told him that it’s not so complicated. Make sure to be honest to yourself and to others, be pragmatic, avoid surprises and be a team player. Don’t be afraid to ask or speak your mind. Have you been accused of nepotism and if so how would you counter such arguments? No one has ever mentioned nepotism. On the contrary, in the beginning I received mails from my industry contacts saying that they have been in touch with my son and that they think he is a great guy, and that they did not expect less from a Sirc… 😉 It was a special feeling in the beginning, when my son started to communicate with industry people I had known for many years it added a new dimension to our relationship, in a good way. Where would you like to see Filip end up career wise? The most important for me is that he ends up working in a position that keeps him motivated, makes him enjoying going to work every day and pays him money that allows him to have a reasonably good standard of living. If it’s mid or top management is less important. Would you encourage other parents in the industry to support their kids following their footsteps? What advice would you give to them? If they see that their kids have the talent and interest to follow their footsteps then yes, also if they have other talents that are applicable to the industry. They don’t necessarily have to do the same job as their parents. Do not try to guide you child in to something unless they really want to do it though. Your child really has to “want” to do it rather than just seeing it as way to get a job. Once they start working in your industry people will compare you one way or the other. If things don’t work out as planned it might reflect badly on all involved in the end. What tips do you have for any industry parents keen to have their offspring follow in their footsteps? •	Make sure to split the relationship in to professional and private. Some things can’t be discussed over dinner when working for different companies in the same industry. We have a very clear line here and never ask or tell about things that are related to each other’s companies business. •	Working in the same company might be challenging as it most likely might put your child in an awkward relationship to its colleagues if you have a senior position in the same company. -“he is doing fine, buy him a beer” was the reply, proud father moment for me. •	Use your common sense, do things the way you want others to do them. When did you realize you wanted to work in the games industry and what steps did you take to get in? I realised around 13-14. It came quite natural as games and gaming is one of my biggest passions. I never felt that the development of a game was that interesting. 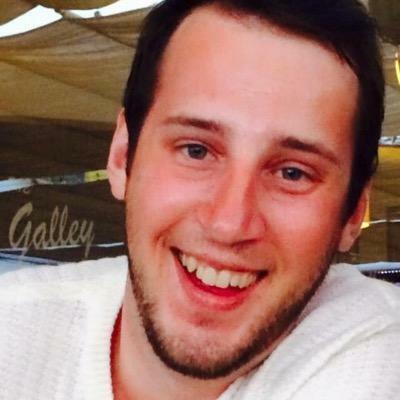 I wanted to work with sales or marketing, attend events and travel the world. I was of course influenced by hearing all the fun and exciting stories my dad told me from the trips he made. I studied Sales and Marketing for two years in Uppsala. During those 2 years we had to spend 2 months as an intern. I naturally chose Paradox Interactive, since my dad has worked there and said it’s one of the best companies to work for in the games industry. After I graduated I spent a couple of months working for another company before joining the sales team for Paradox. What do you love about your career and working in the industry? Since games is one of my biggest passions I truly love to be where it happens, to be a part of a world that I would envy from the outside. I believe that working with what you love is a rare thing these days. I get to go to work every day knowing I love what I do. Have you experienced any accusations of favoritism because of your fathers standing within the industry? Not really, I would say the opposite. People are, I hope, genuinely happy when they hear that Martin is my dad. But this is as far as I know. If any, who are the industry figures you look to for inspiration and how do you let that influence your approach to work? My dad of course. He is always my go to guy when there are any work related problems I stumble into. I always ask for guidance and advice when I need it. But also for comfort. It’s nice to have a close person that knows what your going through and that can relate to what you are saying. Besides Martin, I would say that my closest Manager, Tobias Sjögren is a source of inspiration. He was the one who believed in me when hiring me as the first member of the sales team at Paradox. I also try and learn as much as possible from people around me at work. Being the son of an industry legend must come with a certain level of expectation and pressure. How do you handle that? I talked a lot about this with my dad before working in the games industry. “What if people expect me to be as good as you?” was a question I probably asked more than other. The response was always that I should do my best and you are not me. You are you, not me. I also felt that I had a responsibility to my dad and family name, that if I ever did something bad or messed up it would spill over on him and the family name. His response is that that doesn’t matter, if people can’t see you for who you are or who I am, well, then they are stupid. This is also something I’ve grown more comfortable as the time goes. Today I rarely think about these things anymore. If and when you do have kids of your own would you like to see them follow in your footsteps and why? It depends. If I ever have kids I would want them to follow their dreams, not mine. I don’t want them to feel that there is a legacy that they need to carry on. But if they wish to I would be super happy, I mean who wouldn’t? It’s games we are talking about! What advice would you give to any one keen to work in your field of the industry? Wow, this one is tricky. Try and get experience from similar industries that could be beneficial. Network at any given occasion to learn people within the industry.